Welcome to District 7510 in Central New Jersey, The Crossroads of the Revolution! It is my honor and pleasure to serve the Rotarians of this District in 2017-2018. 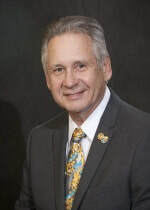 I encourage you to explore our website and learn of all the good things this District does and the opportunities that exist to serve the community, meet and network with our members, or find a Rotary Club to join….we even have an E-Club for you to consider. 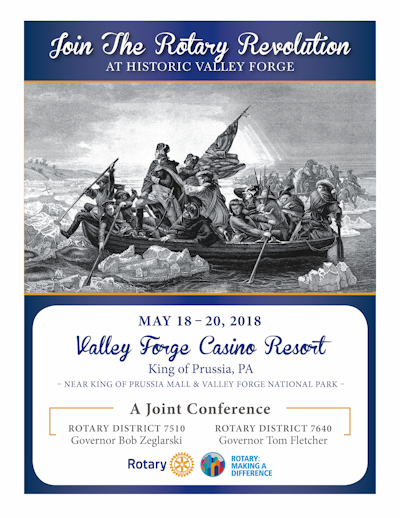 I invite all Rotarians from D7510 to join us at the Valley Forge Casino Resort on May 18-20 for our District Conference. Click here to go to the websitecreated for this special event! Thank you for visiting our website and Thank You to the Rotarians of District 7510 for all you do for Rotary!